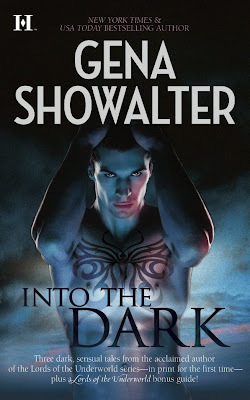 Gena Showalter just released this cover on her blog. 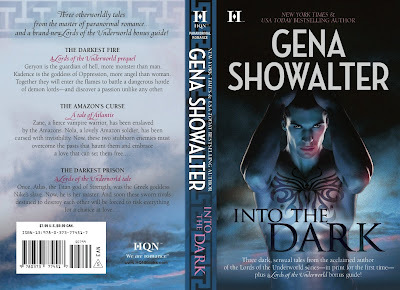 Into the Dark will be released in May 2010. 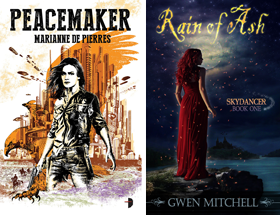 This book will gather Gena's ebooks - The Darkest Fire & The Darkest Prison from the Lords of the Underworld series, The Amazon’s Curse from the Amazon series as well as bonus Lords of the Underworld material. KB a little something for the ladies. Have to admit the whole dark brooding thing is pretty good. I love this cover! Probably my favorite in the entire series. Wow, that is definitely a hot cover. I love it! The colors are perfect and that man is utterly drool-worthy. Debbie thanks for Zombifying me. I love it and congrats on your BBAW nom. Hi Jennifer thanks for dropping by and reminding me. I appreciate it. I had this planned for inclusion in my weekend UF report. Feel free to let me know any news for the report anytime. This one INCREDIBLE contest.